My name is Raul Teixeira and I live in South Africa. I have 8 year old male Rottie named BRONX. I love him so much that I decided to get another Rottie to give me the same love when BRONX is old and tired. This Puppy is so cuuuuute it is going to graw into such a monster :)!!! Join in and write your own page! It's easy to do. How? 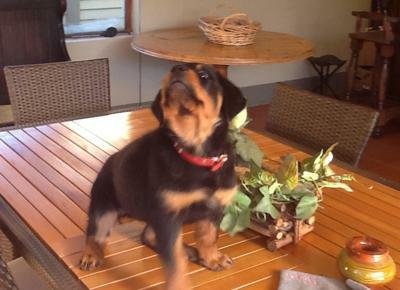 Simply click here to return to Rottweiler Pictures.